This is the review of the most reliable hardware wallets for cryptocurrencies. If you wish to keep your digital currency safe before someone stealing it or some other unforeseen circumstance, this review will certainly aid your choice. Hardware wallets are not sponsored in any way and they will never be. 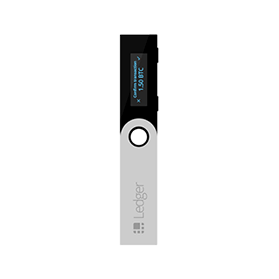 Ledger Nano S is a hardware wallet that is considered to be one of the best in terms of keeping your digital currency safe. Released in the end of 2016, it can boast with many positive opinions from all over the world. We have to enter PIN code just to login into the device. Of course, we don’t have to worry about losing values if it is stolen or lost. Thanks to recovery seed we earlier on generated, it is possible to recover the data. Ledger Nano S is very secured well-protected thanks to the use of Secure Element technology (tow chips: ST31H320 and STM32F042). Cryptocurrency keys are secured thanks to the fact that they are isolated. Ledger Nano S gives us the chance to store crypto currencies with ERC20 protocol, including Bitcoin, Litecoin, Bitcoin Cash, Ethereum, and some other less popular funds like Dash, Zcash, Komodo, POSW, Ripple, Stratis, ARK, Expanse, PIVX, UBIQ, Viacoin, and Dogecoin. Trezor, a flag product from SatoshiLabs company. We can see different approach to design compared to Ledger Nano S as well as different number of supported cryptocurrencies and other specifications. Here we can see bigger, much clearer screen that can contain 6 lines of text. Its case is also much more durable. USB cable required for operating the device. Trezor can boast with highly-advanced cryptographic standards that are combined with BIP 39, BIP 32, and of course BIP 44. The device gives you recovery seed key, special encryptions for maximized security, and of course the chance to manage the previously-generated seed keys. We have to type in PIN code if we wish to log in to the wallet. Logging in to the wallet takes place via screen or a computer keyboard. 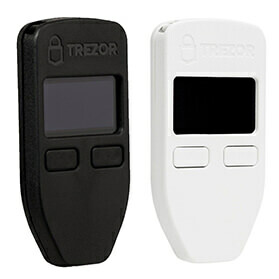 Trezor introduced randomly generated numbers for safety measures. We can also use passphrase to encode our wallet. Recovery seed keys are composed of 24 words and we can use it to recover the data from lost or stolen device. Trezor allows us to store Bitcoin, Litecoin, Ethereum, Ethereum, Dogecoin, Dash, and Ethereum Classic (thanks to the courtesy of MyEtherWallet). Other tokens equipped with ERC20 standard are also compatible. KeepKey is an older hardware wallet that had its premiere in September 2015. However, it is very popular since we receive here transparent screen and additional safety precautions. If you wish to log in to the wallet, you have to proceed in the same manner as in case of Trezor’s device. You can generate your own passphrase and recovery seed, which can later on be used to obtain lost data. Thanks to the cooperation of ShapeShift and KeepKey companies, we can transfer cryptocurrencies from the level of wallet without any troubles. The wallet uses ARM Cortex M3 processor. 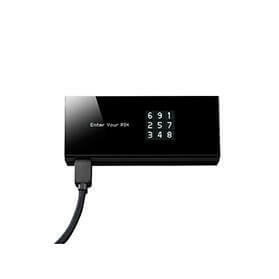 Together with highly-advanced safety precautions as well as aluminum cover, it grants you one of the best wallets. It is resistant to damages, safe, and incredibly efficient. The only issue may be with exposed screen, that is vulnerable to scratches. Metal casing adds some weight, so if we drop KeepKey from large height, it may be destroyed. KeepKey provides you with compatibility to many digital currencies, including Bitcoin, Litecoin, Ethereum, Dash, and some less poplar ones like Namecoin, Dogecoin. 5 out of 5 based on 211 ratings.